I hate persistent notifications. I like dropping down my notification shade and seeing nothing there, otherwise I get very OCD and feel like there's something that requires my attention, but then I see there really isn't because it's just a persistent notification. 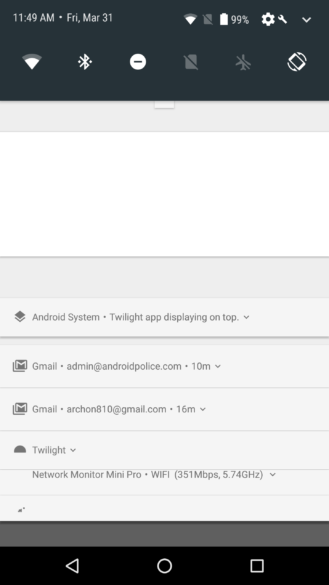 Even if you don't mind these and even if these always get pushed to the bottom of the list, they can clutter up your notification drop-down and make it more difficult to manage. 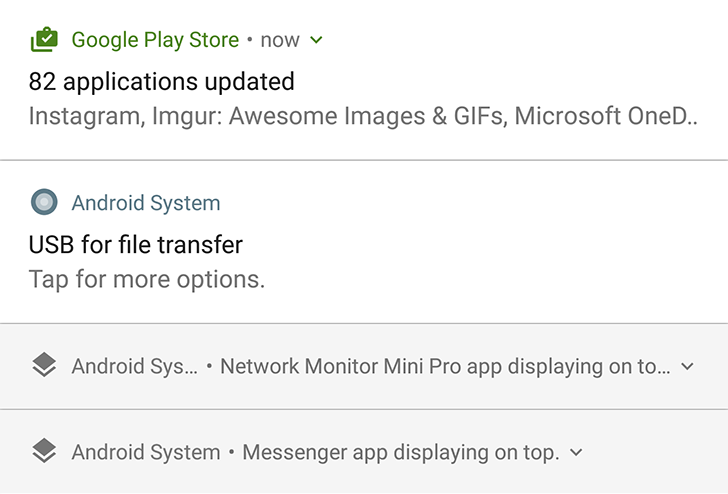 Have you tried checking out and clearing up a few Gmail notifications in Android Nougat? Unbundling and expanding/collapsing wreaks havoc on your eyes and fingers, and it's much worse when there's a persistent notification below them. All of this introduction is to tell you how ecstatic I am — and you should be — that these are getting slightly demoted in Android O. Instead of showing up like all regular notifications, they are a little greyed out and collapsed to a single line. 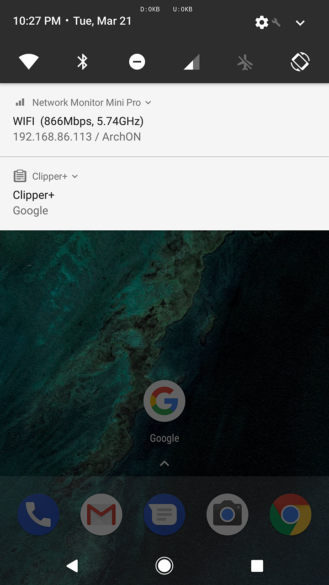 This compact look causes much less visual clutter and makes it easier to see which notifications are important and need to be acted on and which ones are just there as an FYI or for a service to run. 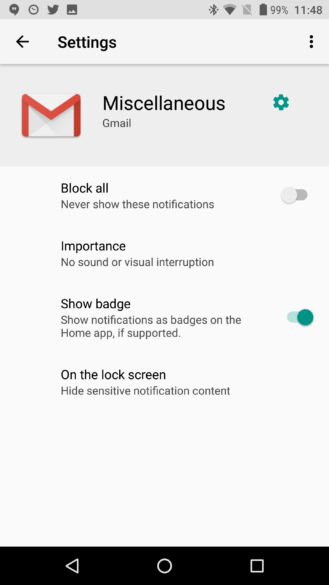 If you use persistent notifications to monitor something or as a permanent reminder, you will still be able to expand any of them to see their content. I think that's a great compromise between design and usability. 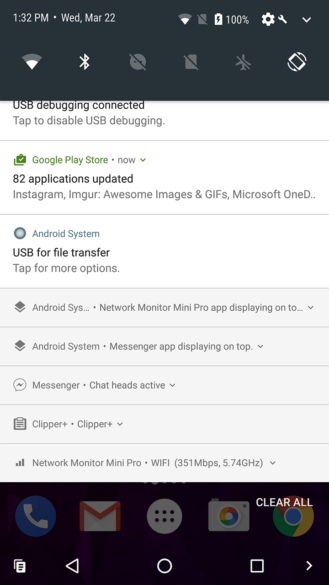 Oh Google, can we get this on all Android devices, from Gingerbread to O, pretty please? Turns out there are more subtleties to the story here. 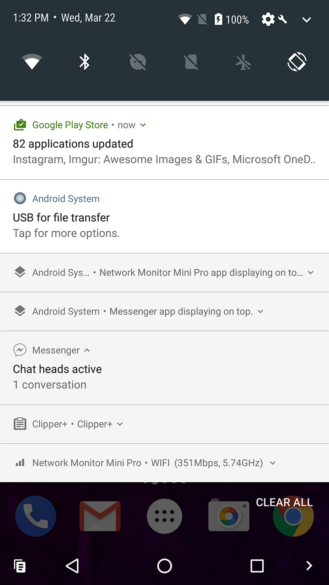 It's not persistent notifications that look compact, but any app can have its notifications display as compacted if you change its importance. Let's back up a bit. Under Android Nougat, if you enabled Power notification controls under Other in System UI Tuner, you got to choose the level of importance each app's notifications have. Out of the 6 levels, Level 1, which was described as "No full screen interruption, peeking, sound or vibration. Show at the bottom of the notification list. 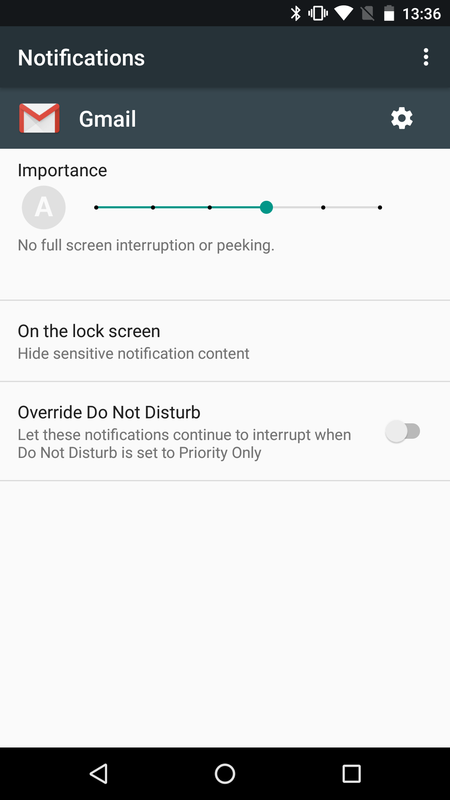 Hide from lock screen and status bar," was the lowest tier of importance for getting notifications (Level 0 blocks them completely). In Android O, the levels are gone from system UI tuner, but their functionality has graduated to a more accessible place. When checking an app's notification settings, you have a new Importance menu that lets you choose between 5 options, including No sound or visual interruption. 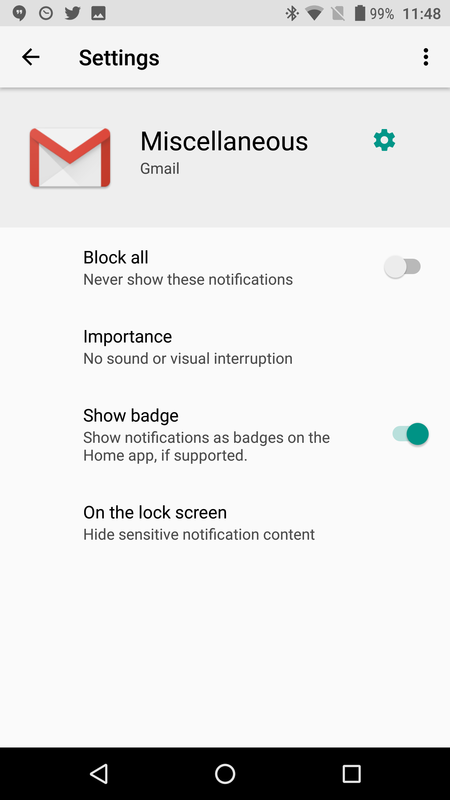 This corresponds to Level 1 in Nougat, and it's the level at which notifications will show as grey and compact unless manually expanded. 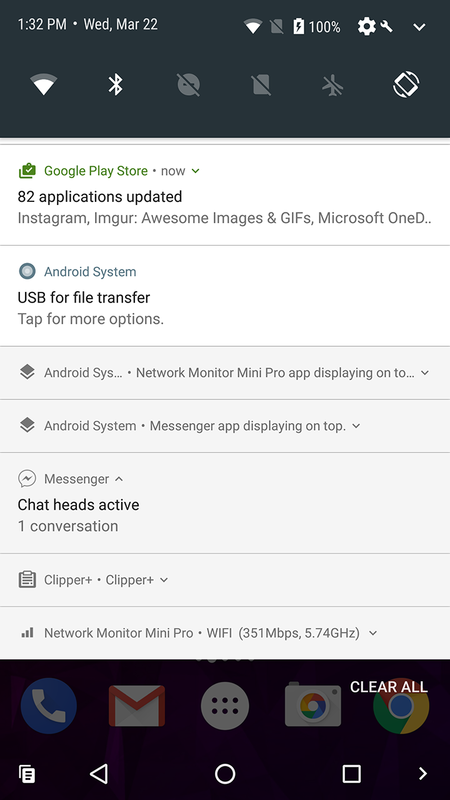 Apps like Clipper and Network Monitor Mini, which we showed in the original post's screenshots, target this setting (Level 1 previously) by default. That's why we originally thought that persistent notifications were the ones being compacted. 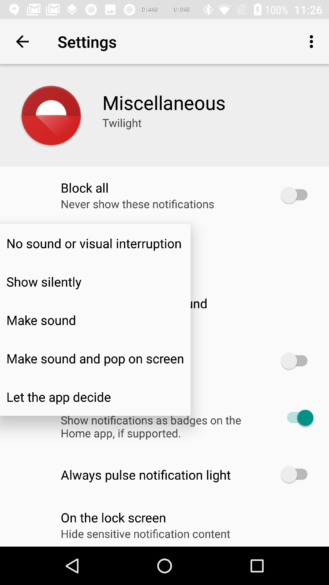 But obviously, you can manually change any app's notification importance to No sound or visual interruption. 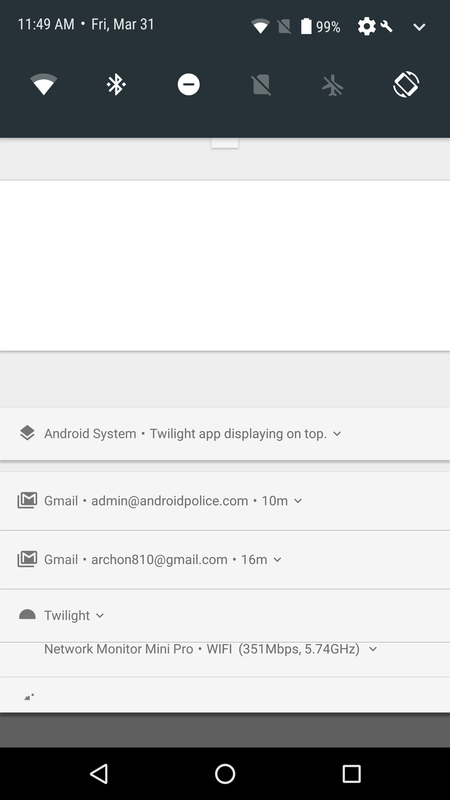 So when you do so, like in the example below with Gmail, the app's notifications will be demoted and they will display at the bottom, greyed out, and compacted. Choosing "No sound or visual interruption" downgrades Gmail's notification to a compact grey one. 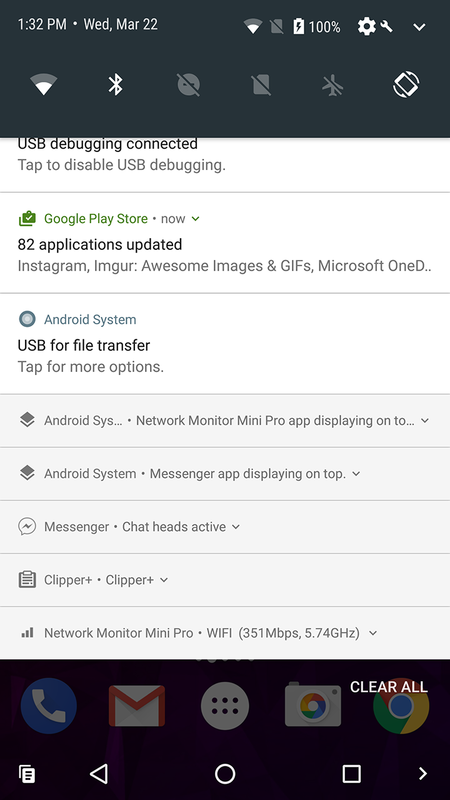 So you can now rest assured that your favorite apps won't be downgraded against your will and that you can also push down any apps you don't want to overtake and obscure your notification shade. That's awesome really.